Miles Joyner and Keith Preston discuss anarchist influences on radical tendencies in black communities. Topics include the reaction of the black community to the Zimmerman verdict, the obscuring of the Bradley Manning trial by the Zimmerman trial, the legacy of the Black Panthers and the Black Liberation Army, the influence of black anarchist thinkers like Ashanti Alston and Lorenzo Komboa Ervin, Contemporary black anarchist tendencies like Black Autonomy Federation and Anarchist People of Color, Black nationalism, anarcho-capitalism, and black libertarians, and Problems with black conservatism. 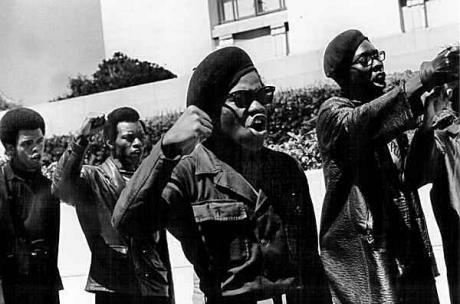 Also see the article ‘Black Autonomy: Civil Rights, the Panthers and Today’ (An interview with two anarchist ex-Black Panthers about their involvement in the civil rights movement, the Panthers and the relevance of anarchism to black struggle).